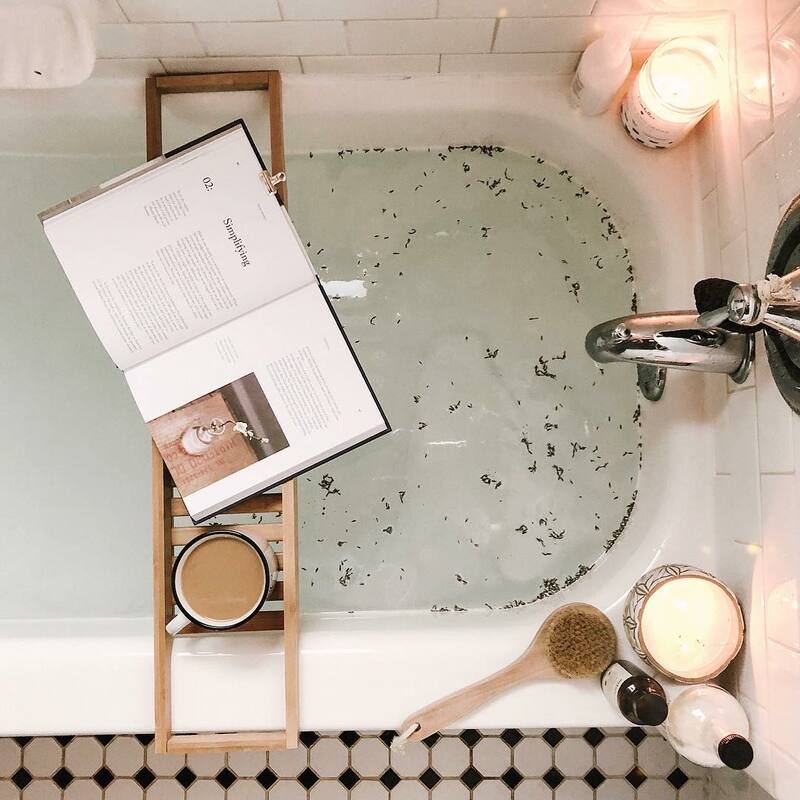 A tub jacked-up on lavender, a second cup of coffee, and a good book. Needed this. I love being a work-at-home mama, but with all the benefits also comes a lot of late nights, days where my to-do list is on endless scroll through my frazzled brain, and limited moments of stillness. I love being a work-at-home mama, but with all the benefits also comes a lot of late nights, days where my to-do list is on endless scroll through my frazzled brain, and limited moments of stillness. I woke up today after a very restless night for two babies and a husband who was out of town, and decided I would do whatever I could to squeeze in 30 minutes to make this happen. I’m so glad I did. If anything, I at least smell better.